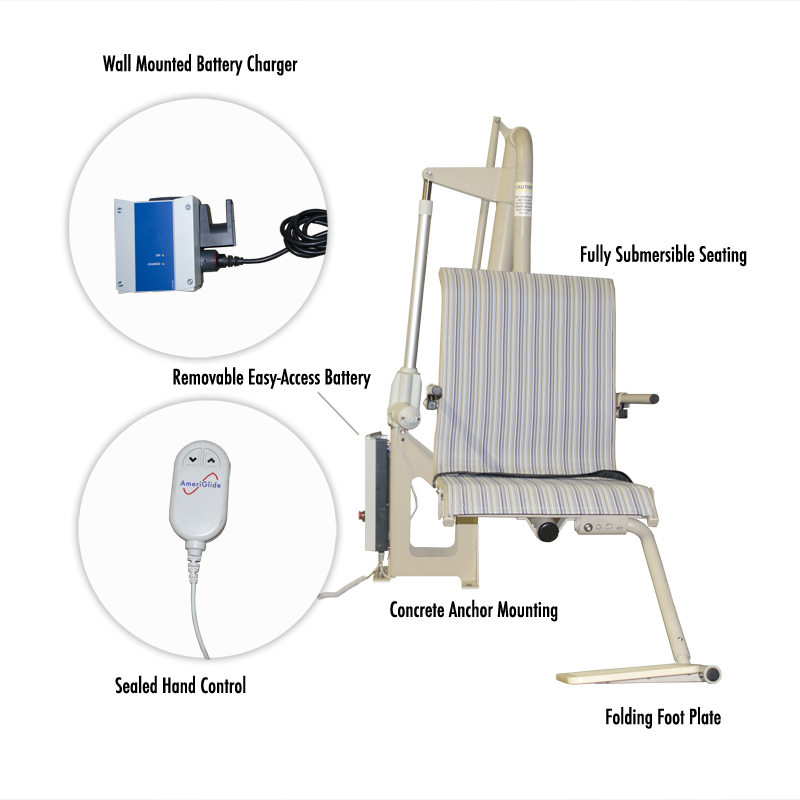 Electric Wheelchairs 101 is now proudly offering the AmeriGlide Pool Lift for the lowest price you can find anywhere. 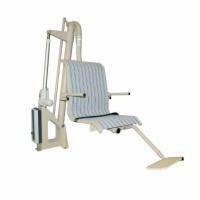 The AmeriGlide Pool Lift will make your pool ADA compliant and is extremely easy to install. With concrete anchor mounts, stainless steel tubing, powder coating, your pool lift will weather the elements with ease and is will be sure to last for a long time! 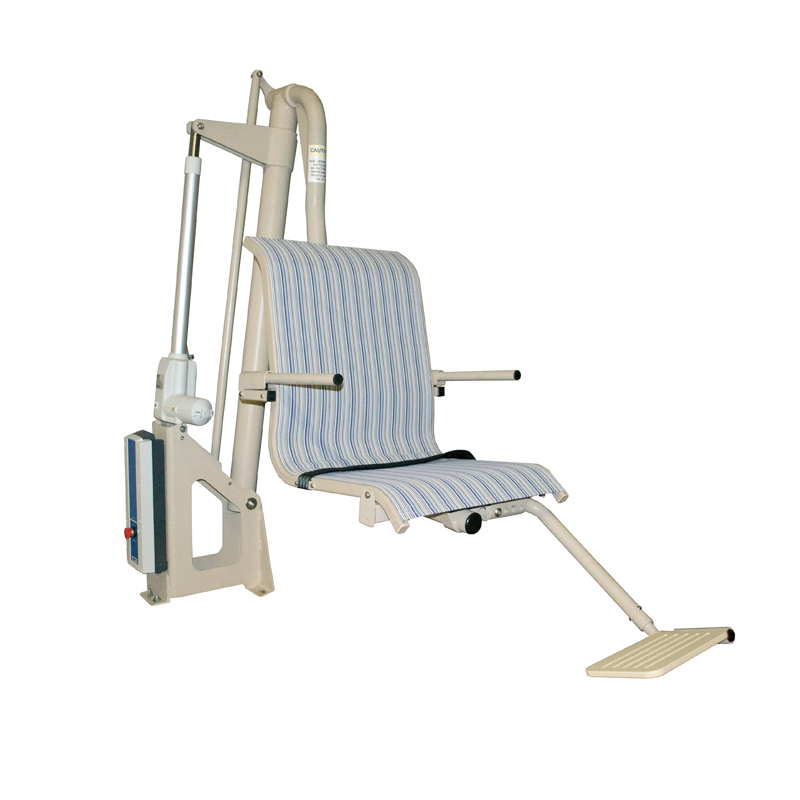 You'll love the removable battery and controls, that will make your lift safer and unusable when needed. 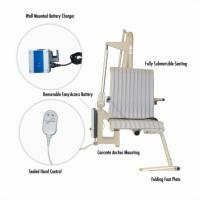 Call our pool lift specialist today to see hear more about how easy your pool can become handicap ADA compliant! Also, ask our specialist about a Quantity Discount, if you're purchasing at least three pool lifts!